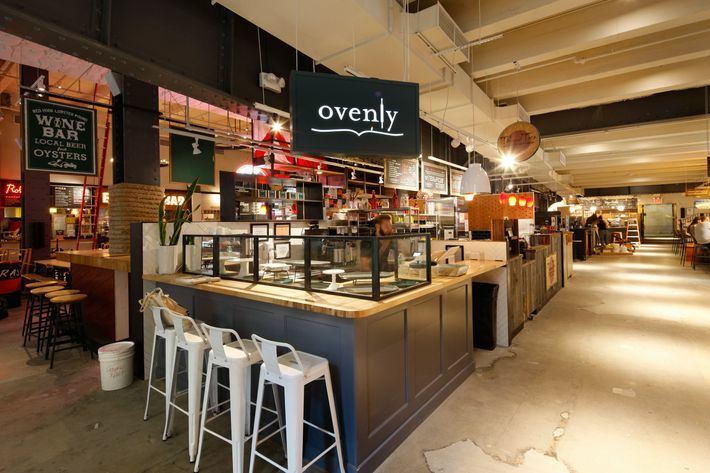 Over the last decade, New York has been overrun by fancy food halls. They first started cropping up in midtown, before spreading down to Chinatown and into the outer boroughs. (Think of them as glossier descendants of much older food courts, like the Essex Street Market, and slightly older but less high-end options, like Flushing’s Golden Shopping Mall.) It’s true that the new ones are, often, pushed by developers as amenities, and their seeming ubiquity has made them somewhat divisive. But here’s what you need to know: There are still lots of great food to be found inside, and it shouldn’t be missed. 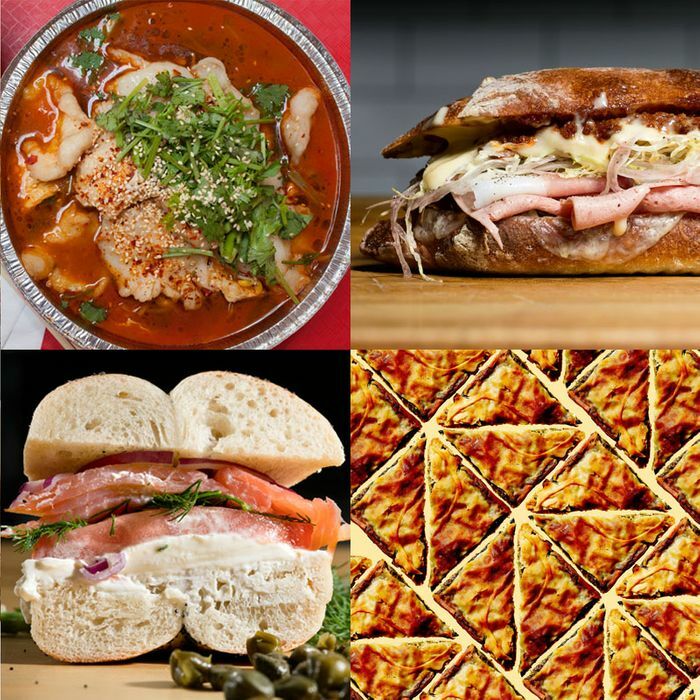 Here, a guide to the city’s many food halls, with an emphasis on more unique vendors. What it is: The Bronx sibling of the more famous Essex Street Market, and a holdover from Fordham-Belmont’s Italian-American past. Highlights: Café al Mercato, Mike’s Deli, and the Bronx Beer Hall. Check out the full vendor list here. What it is: There are high ceilings and lots of laptops at this Crown Heights beer hall spun off from Smorasburg. What it is: A lifestyle-infused market at the intersection of Chinatown and Soho. Highlights: Ilili Box, Izakaya x Samurice, and Oppa. What it is: The granddaddy of fancy food halls, this is the rare busy tourist destination that’s actually worth it. Highlights: There’s a lot, but to start, check out Dizengoff, Los Tacos No. 1 and its spinoff Los Mariscos, Miznon, and Very Fresh Noodles. 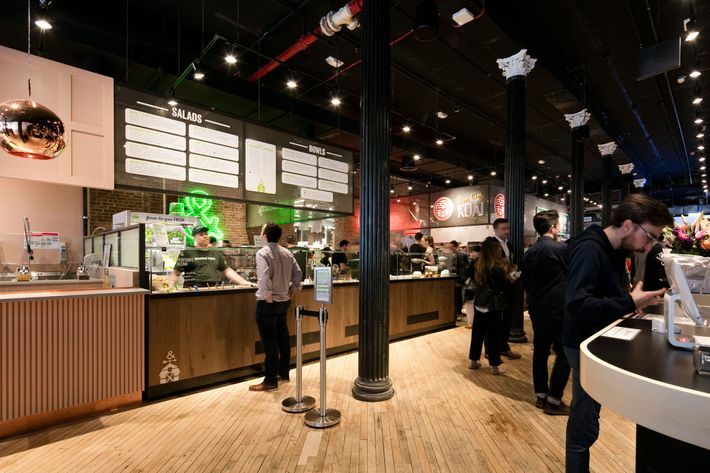 What it is: Another midtown food court for office drones, but it brings good food to the chain-scape of Times Square. Highlights: Dough, Kuro-Obi, and Whitmans. What it is: The popular underground food hall attached to Downtown Brooklyn’s massive City Point development. Highlights: A Katz’s outpost, Han Dynasty, bagels from Andrew’s Classic Brooklyn Bagels, and some of the city’s best burgers at Hard Times Sundaes. What it is: The famous, publicly owned market still manages to offer something essential every day for the Lower East Side. Highlights: Saxelby Cheesemongers, Ni Japanese Delicacies, Boubouki, and Shopsin’s. What it is: A Sunset Park grocer with a busy food court attached. What it is: A modern-looking, three-floor outfit on Koreatown’s main strip. Highlights: Noodle 32 and Pelicana Chicken. Check out the full list of vendors here. What it is: A Flushing food-geek destination and local hub for budget eats, it launched Xi’an Famous Foods (recently closed) and Dumpling Galaxy (via its precursor, Tian Jin Dumpling House). Highlights: Tian Jin Dumpling House, Express Tea Shop (for the jianbing), Tianjin Xianbing, and Chengdu Heaven. What it is: A Downtown Brooklyn spinoff of the midtown food court, for residents of the Ashland. What it is: In midtown west, the high-end operation where Ivan Ramen debuted in New York. Highlights: Ivan Ramen Slurp Shop, Corner Slice, Jianbing Company, and El Colmado. 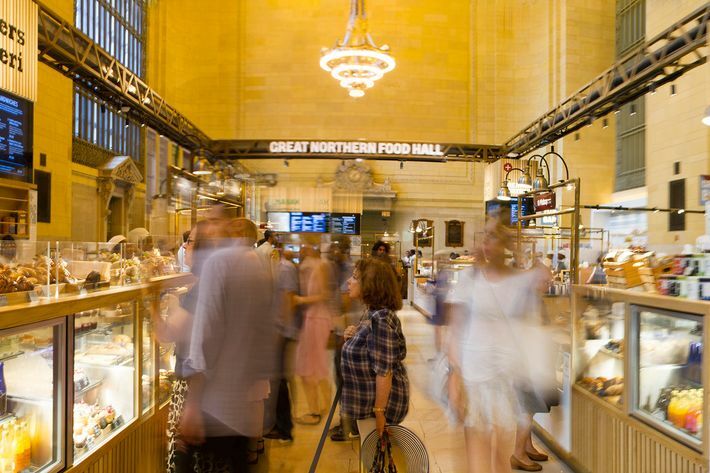 What it is: Noma co-founder Claus Meyer’s Nordic food bubble inside Grand Central Station. Highlights: Everything is good, but especially the Grain Bar’s porridge, Meyer Bageri’s pastries and sandwiches, and Brownsville Roaster’s great coffee. What it is: A sprawling, sunny operation at the edge of Battery Park City, with nice views and Le District, a separate French market. Highlights: Blue Ribbon Sushi Bar, Le District, and Northern Tiger. What it is: A food court meant to bring more people to Sunset Park’s industrial complex turned developer-powered and trendy manufacturing hub. Highlights: Ends Meat, Taco Mix, and Ejen Korean. What it is: The Brooklyn cousin of Essex Street, with a historically Hispanic character. 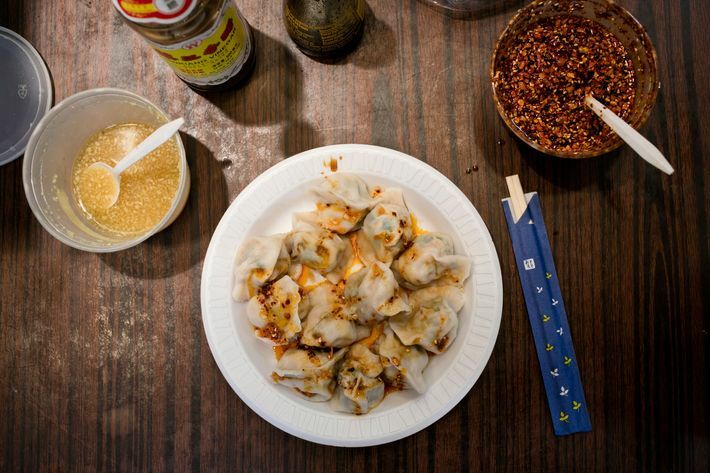 What it is: The underdog in Flushing’s food-court wars, but with lots of good food. Highlights: Diverse Dim Sum, Liang Pi Wang, and Peng Shun. What it is: Flushing’s shinier, spiffier neighbor to the Golden Shopping Mall, with some trendier vendors. Highlights: Chinese-Korean Dumpling House, Erqal, and Lan Zhou Handmade Noodles. What it is: The oddly named, Penn Station–adjacent food court that, like City Kitchen, brings better food to a corner of the city without much in the way of decent bites. Highlights: The Cinnamon Snail and Pat LaFrieda. What it is: An underground market the size of a city block, just south of Central Park. Highlights: Bolivian Llama Party and Zai Lai. What it is: A roomy midtown-east food court from the operators of the popular Urbanspace outdoor markets. Highlights: Kuro-Obi, Delaney Chicken, Mimi’s Hummus, Ovenly, and Hard Times Sundaes.